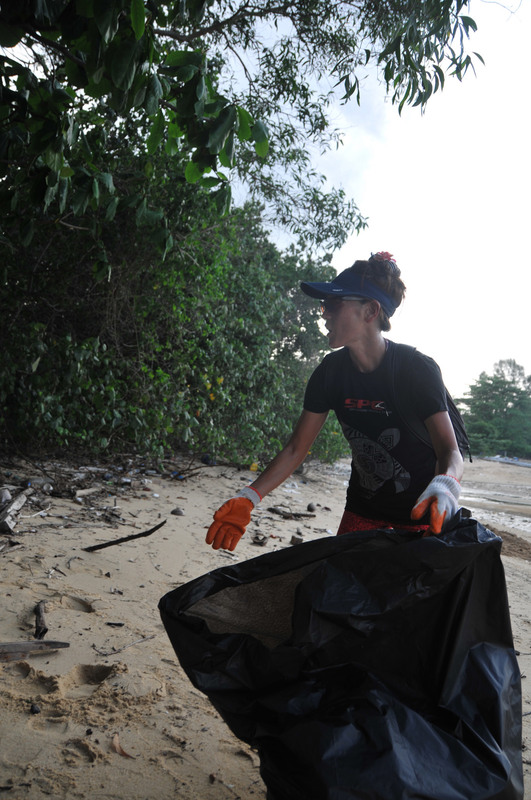 18 Apr 2015 – 144 individuals from all over Singapore hit the beach at Pasir Ris 6 to commemorate Earth Day with a coastal cleanup. 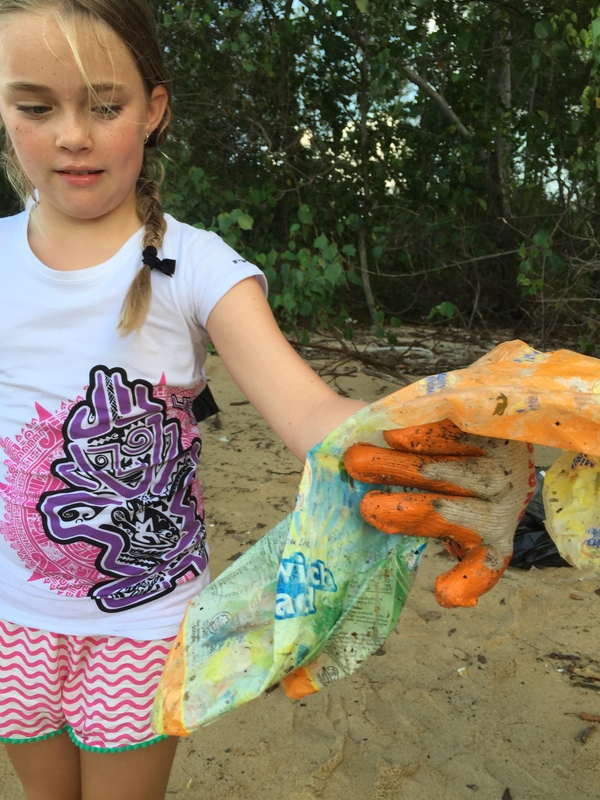 Over a 350m of beach, volunteers removed more than 1,500kg of rubbish in 210 bags of trash! Good job folks! The 144 volunteers comprised of Independents, schools and organisations. 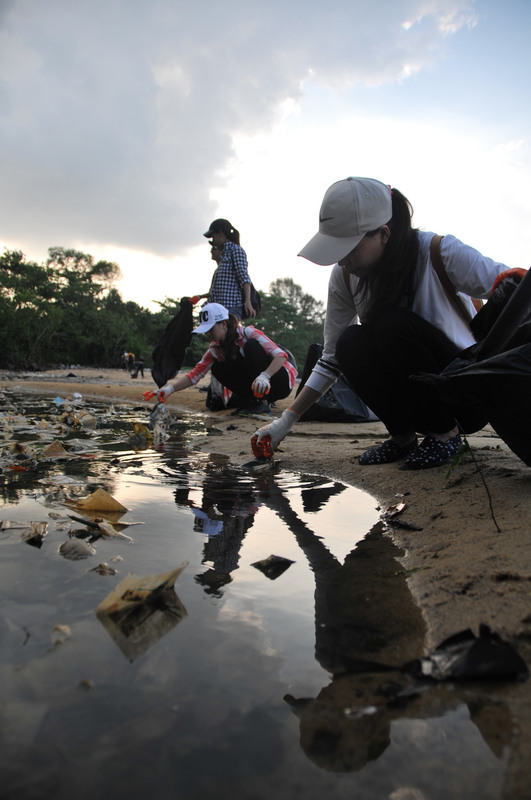 We were glad to see many familiar faces from our World Water Day Cleanup in March – Chee On, Liz and Petra are motivated individuals that regularly volunteer during our coastal cleanups! Quyen from our Chinese New Year Coastal Cleanup was another familiar face. The schools were American Centre for Education (ACE) led by Vernessa Chuah, Yuhua Secondary School led by Nicol Ee, and ACS Independent led by Timothy. Thanks to ICCS Photo Captain Kenneth Pinto for the photographs! 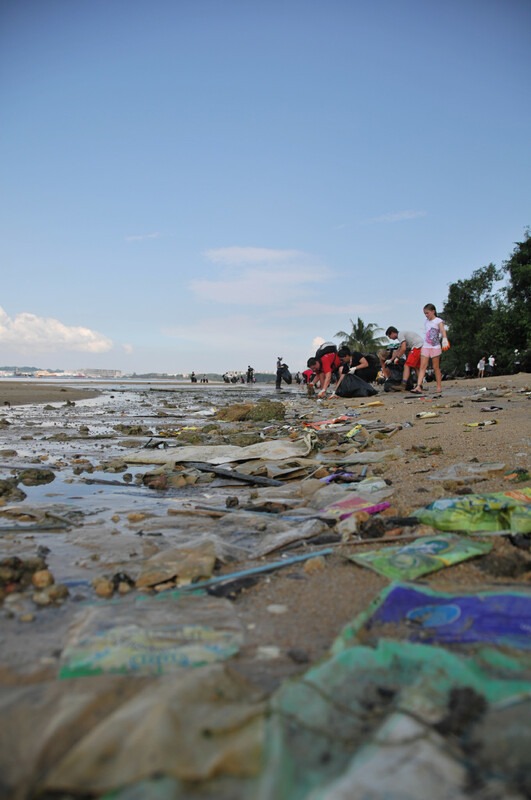 The trash was dispersed throughout the 350m beach but the majority had accumulated at the western end in a “river of plastic”. 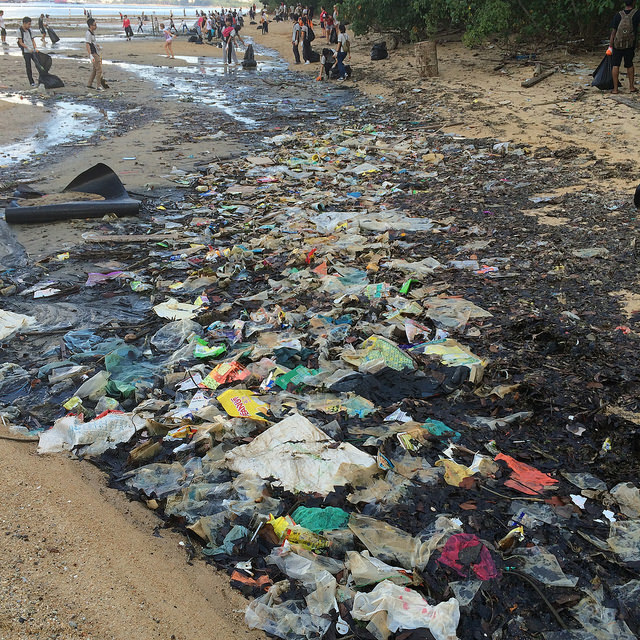 Many of the Independents ventured here to tirelessly work at removing plastic and aluminium bags. Determined individuals hard at work at the western end of the beach. 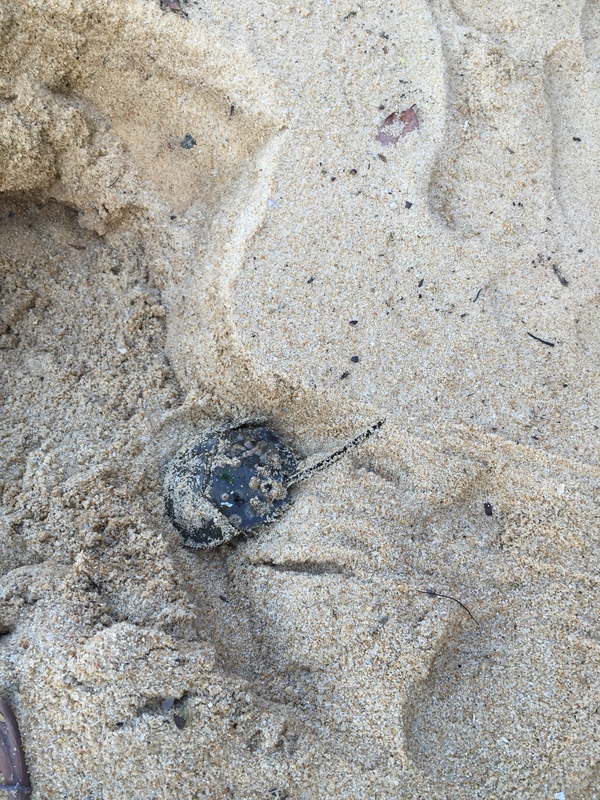 One of our youngest participants found a horseshoe crab trapped in a plastic bag and rescued it. Still moving, it made its way back into the water, hurray! After the trash collection, we weighed all the bags and formed a human chain to transport the trash bags from the beach to the Trash Disposal Point. NParks had kindly arranged for disposal subsequently. Pasir Ris Beach 6 is located at the edge of state land beyond Pasir Ris Park. 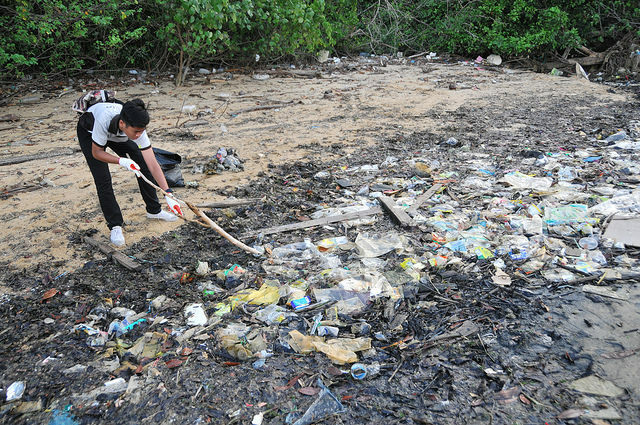 Not a recreational beach, it is not regularly cleaned and large amounts of trash can build up at certain times of the year. 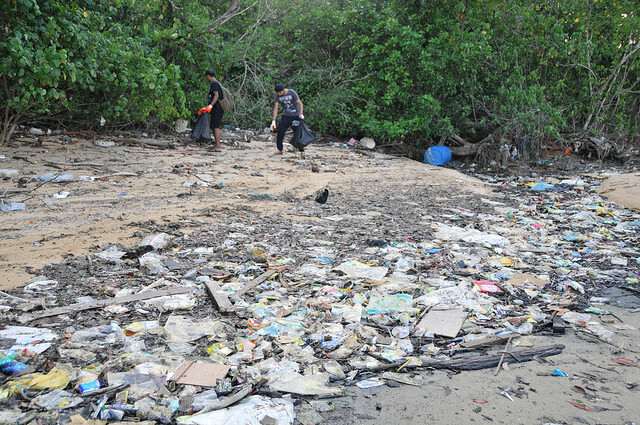 Regular cleanups by volunteers have kept the trash load manageable but it was impossible for 144 volunteers to clear the entire burden of trash in a single afternoon. We are definitely examining that trash profile and heading back soon for another coastal cleanup. 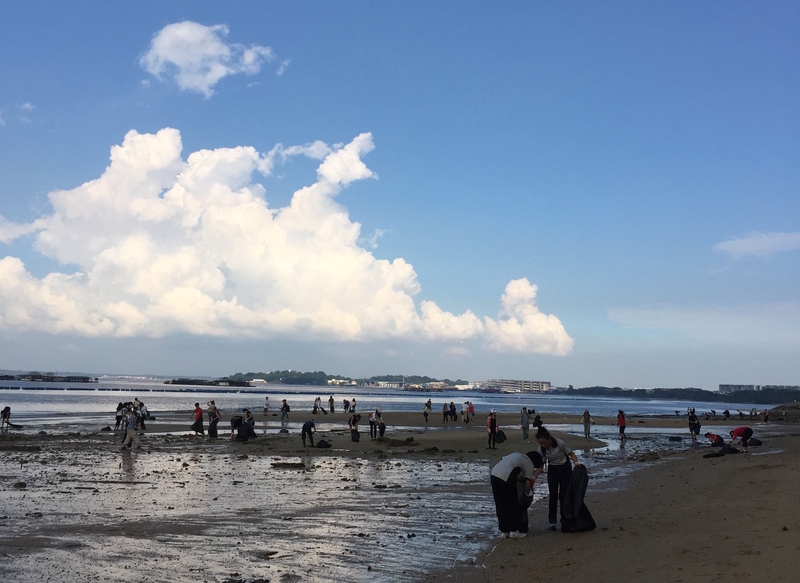 It was lovely to see volunteers working hard on a Saturday afternoon to make the Pasir Ris 6 a more hospitable beach for the marine critters there! Until the next cleanup, Happy Earth Day everyone! 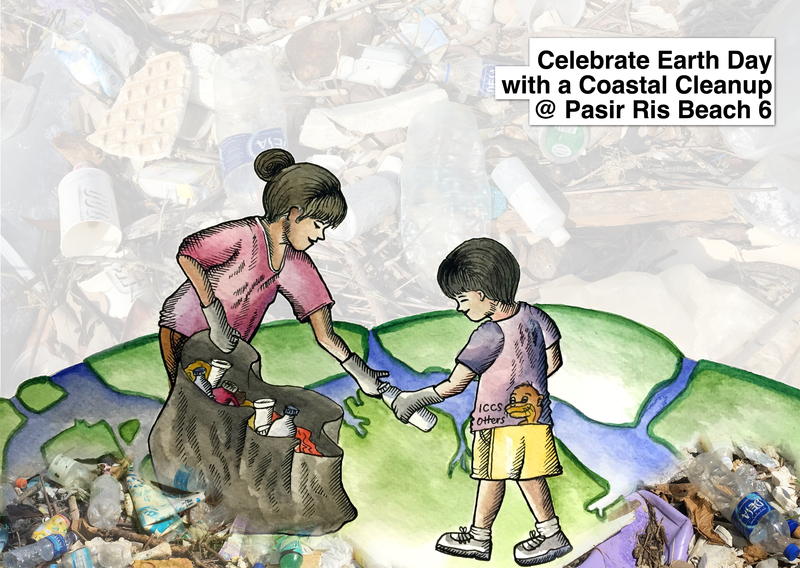 This entry was posted in earthday, pasir ris, year-round. Bookmark the permalink. 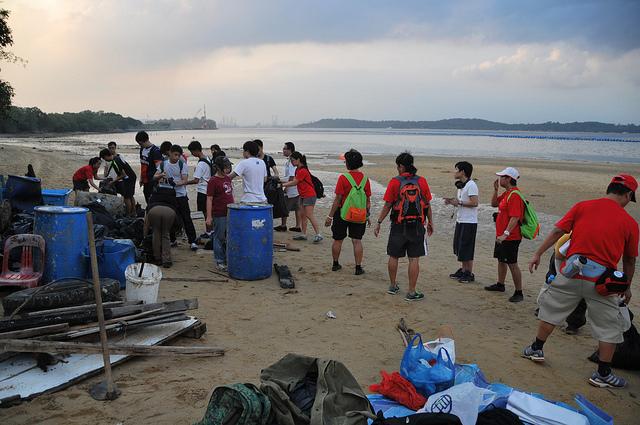 ← The Earth Day Coastal Cleanup recce @ Pasir Ris Beach 6 – welcoming new volunteers! Hi I would like to volunteer my family’s time for next clean up. How do I do that? We will be having 2 cleanup events in May, one on the 3rd and another on the 16th. Do look out for them on the mailing list!